Boxers, we're here for you. On this page, you'll find multiple resources from nutrition, to how to protect your brain, to keeping your fighter's purse, to picking a great coach. Check out the links below. Without a clear plan of action, there can be no change. Read more about our 8-point mission here. 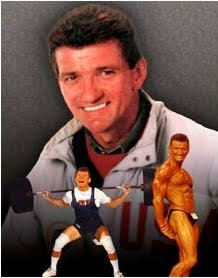 Author of 126 books and over 1100 articles for leading fitness magazines such as Muscle and Fitness. Dr. Judd is here to help you overcome obstacles and reach your potential with his wisdom and unparalleled experience as a world class athlete, sports psychologist and hypnotherapist, and coach in Protect The Pug's "Pug Psychology" Section.